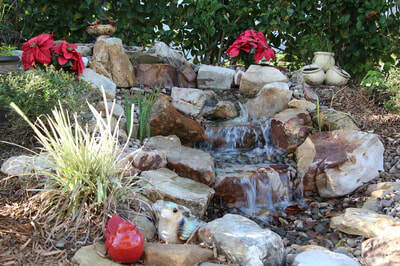 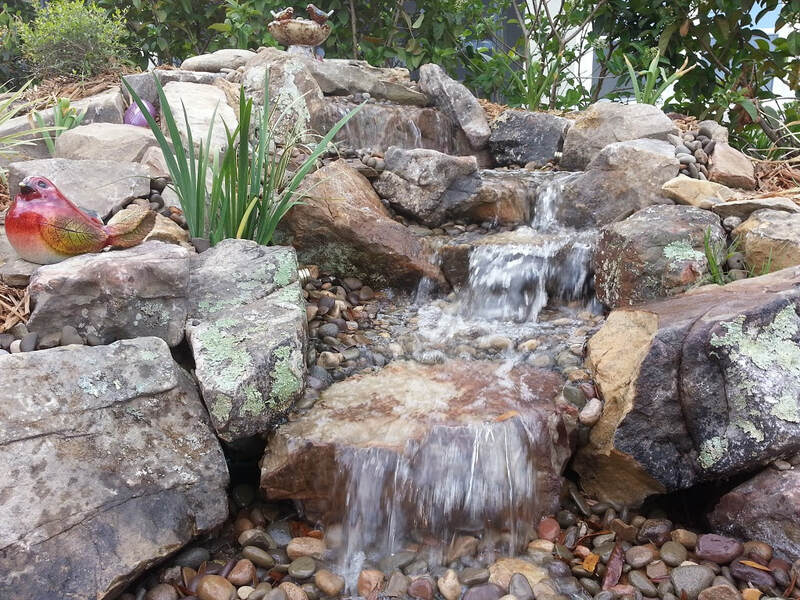 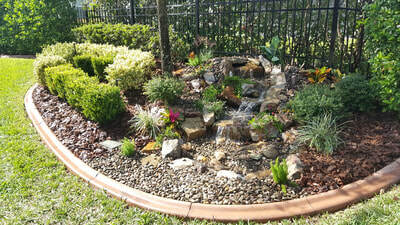 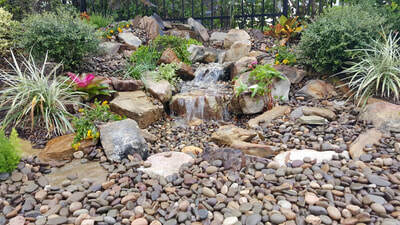 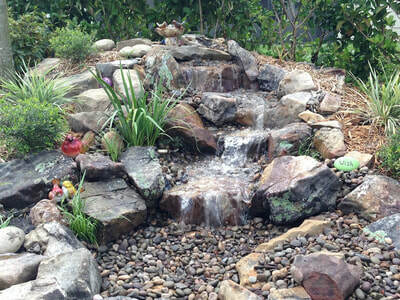 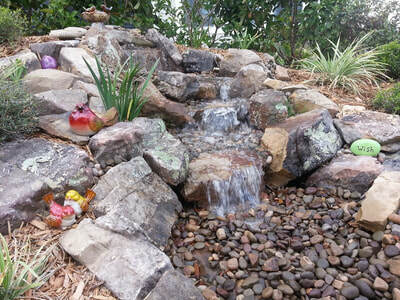 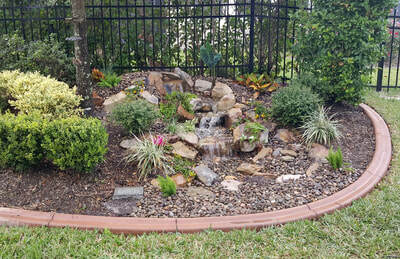 ​4' stream and 3 cascades of water. 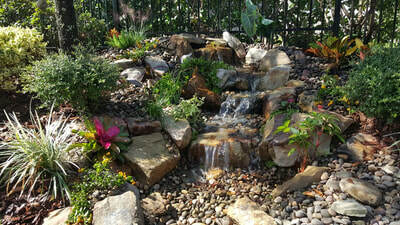 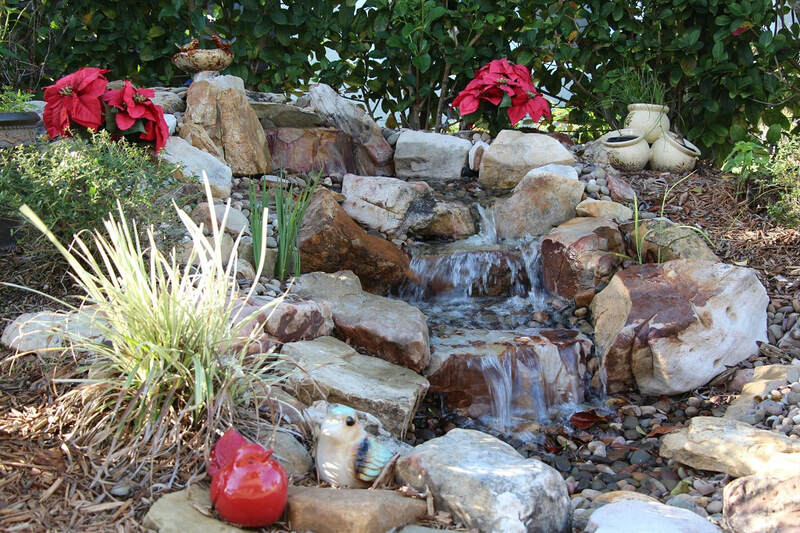 Each cascade is lit up at night with a 1 watt LED light. 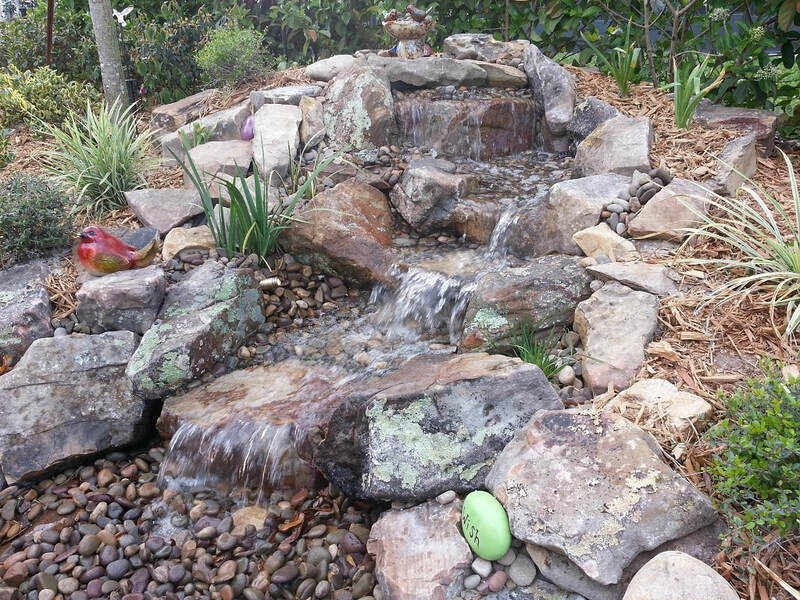 The underground basin holds 100 gallons of water and has a 2000 gph pump.